Little People is one of cutest weblogs I know. From ‘Slinkachu‘ (his/her alias), and while you’re at it, check out his/her other weblogs as well: Beautiful vandalism and A world of birds. 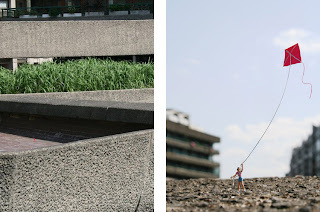 Little people are photographs of miniature installations in public space with, needless to say, little people. There’s always a subtle and comical reference to the ‘big world’ in the background, often appearing as cruel, dominant and violent. Check out A world of birds (subtitle: an exploration of avian species through the medium of comic strip). Unfortunately inactive since October last year, nevertheless, a hilariously funny collection of comics featuring birds.